Music composing applications are providing the opportunity for budding enthusiasts as well as professionals to create new tunes irrespective of time and region. These composing applications for smartphones are helpful for beginners, as they do not possess the equipment or the skills to come out with a tune that becomes a chartbuster. With the help of these applications, users can enhance their skills as well as record an album that they can share with the world using the available social media platforms. It will help in achieving recognition, which later turns into the primary financial support. Today, we will be addressing you with the top five music-composing applications available in the market. Figure is a free to download music composition application available for iOS platform. The features and the tools present within the application are also helpful for a host of professional musicians. Although the app is for everyone, people with no prior knowledge of using a composition app can quickly create electronic grooves with the available tools such as drums, lead melodies, and bass. It also allows you to remix other individuals loop. Ninja Tune launched the application to provide for its fans to develop music using the samples provided by the artists including that of Mr. Scruff, Amon Tobin, and founder, Coldcut. You can buy sounds from individual artists, and use the available tools in the application to create a new tune. It is easy to use but with complete exposure to the software will enhance the use of the same and develops more confidence. With the help of Magic Piano, it is possible for you to play pop and classical songs using the virtual piano. Apart from this, you are also eligible to broadcast the effort you put into making a tune and share it with other people using different sources of technology available. You can even bring singers from other applications that provide you the opportunity to express yourself and the talent you possess. The application is helpful for those who are unable to learn to play the piano because of monetary issues. The guide provided will help them come up with the basics, while the regular use gives confidence and builds the platform for coming out with new tunes. DM1 is an intuitive drum machine application that combines sounds with excellent controls. It is fun to mess around with the tools provided within the application. It will be fun for a beginner to learn but it also turns out to be an excellent app for an experienced musician. GarageBand is the most downloaded digital audio workstation for any musician because of its proper presence on iMac, Mac and iPhone and being Free for life. Also, now you can get Garageband for windows, so PC users are not left out anymore. It is a marvelous application for beginners, as it provides the complete list of instruments available in the music industry along with software-modeled synthesizers. 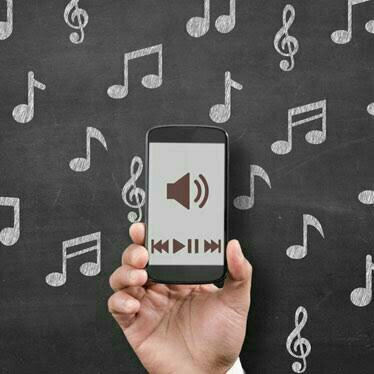 Interesting stuff about the application is the availability of the lesson store, where users can download piano and guitar lessons that will help them right from handling to the creation of a tune. I will download the magicpiano one.. This sounds like fun. I will love to try out DM1 and Garage Band along with my kids. Thanks for sharing. I never knew about these apps. Magic Piano sounds fun! Have heard of Ninja Jamm, but not aware of the rest. Need to share this with my bestie who loves composing music and singing. Nice post dear. Very helpful one. One of my friend asked about music composer apps few days back. Will share this post with her. That’s really great for music lovers… This post is helpful indeed.. Previous Previous post: 6 festivals of light to plan your holidays abroad for!